Located in Kokkola, Hotelli Nukkumatti is a 4-minute drive from Kieppi - Kokkola Museum of Natural History and 5 minutes from Kaarlela Church. Featured amenities include express check-out, multilingual staff, and luggage storage. Free self parking is available onsite. 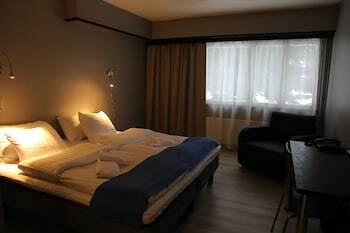 Jyväskylä Downtown Apartments offers accommodations throughout the area in Jyvaskyla. With a stay at this villa in Pyhtaa, you'll be by the sea, and 16.9 mi (27.2 km) from Langinkoski Imperial Fishing Lodge and 18.3 mi (29.5 km) from River Park.